Cheops Pyramid : What is in the newly discovered northern chambers ? The door of alien spaceship is a door for the pyramid… – Clairvoyant/Psychic predictions by Clairvoyant House “Dimitrinka Staikova and daughters Stoyanka and Ivelina Staikova” – from Europe, Bulgaria, Varna – October 27, 2016, 10 am. From Northeast – I see sound waves. Before the top of the pyramid, I see left in the past moving object between rectangular and elliptical shape of alien spaceship. The object has dark colour and black layer on it – it looks like airplane – its nose is like a bird’s neb (beak). Its wings are from square to rectangular and its tail is lifted big rectangular – like a DOOR. The pyramid itself is an energy center ; I see water passing through it from the both sides – northern and western, I see energy circles, which are more like light and sound. The northern circle has a hole – on the treshold of the so called by me Door – that is also a tail of alien spaceship. The Door is black and it is hidden behind a gloss over (whitewash) – bricks and another one barrier. The entry from there is allowed. In the door, there are two holes for rods – long, vertical. Now, there is only a carved place, the rods are missing. The thinner one raises underneath (when it is already put in the door) with a special tool – a thick cast (mold), that is part of a ring – only the upper end – the ring is with big diameter. The second vertical place for the rod is thicker and it is lifted with the same tool. The door is moving upwards – there are total three steps (heights) of lifting. I repeat, the entry is only from the eastern side. There are two holes (openings) for air, that will make very nervous the so called scientists. 2. There is a rug (carpet) ahead of the door – acting – I call it flying carpet because it is with gases. Clairvoyant Ivelina Staikova saw, that through it is passing the fire of ignition of the alien spaceship. 3. The pyramid is already acting energy center with eleven circles – for now the Earth circles are bigger than the air circles. 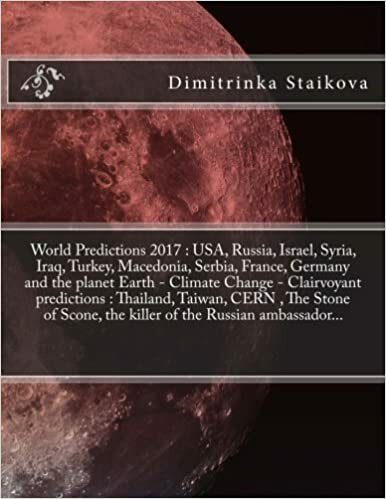 Year 2016 -” Invasion of snakes and Discoveries in the Cheops Pyramid” – World Predictions by Clairvoyant House “Dimitrinka Staikova and Daughters Stoyanka and Ivelina Staikova – from Europe, Bulgaria, Varna -24.01.2016, 7pm. Sattelites – tracking of signals to peaks (mounts) and pyramids. Underground lake is found in the eastern end of the plateau with the pyramid (Cheops). There are no guards (security) there. Two groups are uniting in a searching for artifacts and aliens. Powerful energy source is discovered. I see it like a black mirror. It is seen the construction of the Northeastern pyramid – as very high building above the ground and the same – underground. There are still two pyramids that remains for exploration – high and low. The underground part is triange in the triangle – it is important the end of the big triangle – there, I see a big, liquid, black spot as lake. The place is looking like a reservoir (tank) in the form of glass. I see travel from the Space – arrival on the Earth and first signal, which collapses, second signal, with the form of big drop or fish. The hidden God Zaqiel is coming and he headed Northeast. He arrives in Egypt. Zaqiel (The hidden God) is called also Fallen Angel in the Book of Enoch. He has a body of snake. Year 2016 is beginning – This will be the Year of the Fallen Angels. The Legend of the lost soul and the man sleeping under the Pyramid near the Sphinx,who is waiting to be awaken. Dear sir, In my first letter which i have sent you i was flabbergasted from the fact that i saw man in a space suit in front of the Sphinx.I call the generator which i have described-The first Ark in the world.If this is the only Ark in the world-im not sure. But i know that my curiosity to see the pyramid near the Sphinx brought me to surprising results. I must tell you what i saw with a clairvoyance method called automatic writing. Briefly,through the Pyramid there is entrance which is reaching a room.I saw container,something like a tank and inside -man.Sleeping or hibernating?This man was from the future with something like a space suit,with load on his back, hose-pipe. My conclusion is that this man wants to go outside,thats why im sending you this letter.If there will be more letters they will be published on my web site and in YouTube.These are my summary notes. The Pyramid-i see scheme,only the half of the Pyramid is having importance for its creator.Only the middle part of the pyramid is receiving the energy,then follow two big halls underground.The one is playing the role of plus,the other one is acting like minus. Now the Sphinx-There are three layers.Im watching it from above.The biggest fragment is underneath.The connection is between the second and the third fragment of the rock.The upper fragment of the rock is divided in two parts-in the middle .There are signs which i will describe later.Imagine a rectangle-the middle is taken from the two shorter parts. The energy is going down from the statue of the Sphinx under angle of 90degrees. The back left leg of the Sphinx is connected with the Pyramid. Through The front right one is passing energy. The pyramid was home.The frontal doors are two smaller and two wide doors.The two smaller and the one wide are from the one important quarter and there are +,and toward the minus are one wide hole and unground gallery. Three holes to + the unground gallery,the first one-low pitched-its not,the second one is short and is higher the main hole connected with the energy.The third hole is slightly oval and high. In my next notes i will tell you if you can enter from there or the entrance is connected with a rainbow corridor-only for the energy which is going 10 floors bellow. Down there is a room,deep pool and inside there is a man. A man in a space suit with 2 energy centers-infront of his forehead and infront of his navel.Infront of his navel the energy center looks like a sun and is stonger. -Man with locks of hair,dressed with something that looks like a space suit ,two loads ond his back and hose-pipe.When i saw it for the first time i decided that he is having wings,but…the time will tell. He is lieing like in the air or in a pillow,almost straight.I feel smooth movements. Yes -the entrance is in the pyramid.This man has builded the pyramid.I recognized the same lines of his face. The conclusion which i see is -There is a man who eants to go outside ,to be awaken.Im sure that im the only one who is sending you clairvoyance information about the sphinx.There are signs which i still dont understand. the rest of this letter will be published later on our web site in in the facebook profiles of clairvoyant dimitrinka staikova. Great Sphinx of Giza-the founded Ark. The Sphinx of Giza is woman.Angry woman which is expexting and sending energy signals to the space.The angle is 140 degrees.In the statue of the Sphinx there is a motor which is perpetum mobile-eternal.The generator is sending signals through the right part-the right leg and is receiving energy 90 degrees-vertically,like from spine. The statue of the Sphinx is talking evenly and to certain intervals -equally. It’s frontal view is only for beauty.The secret is in the hair of the Sphinx and the lines of the hair. The statue is made from four craftsmen,which were angry debating about pedestal.The pedestal is part of an open room.The statue has a stone heart which serve for generator.Near that room(in front of it),there is a stone room with entrance and exit.The rooms are from one complex.The Cheops Pyramid is the ladder to the space. The Cheops Pyramid is made like a complex with many rooms side by side.Important part of it’s top is a stone-connection with the generator(the Sphinx).The complex-Sphinx and the pyramid are havving one entrance-subterranean.This complex-the pyramid and the sphinx is made with very good intentions from people-cosmonauts(spacemen)-died on the Earth.The first between the first…. THIS IS ONE OF THE ARKS IN THE WORLD-working with the light of the stone on the top of the pyramid.Even now if the degrees match with the receiving of the light theArk will begin to work. The light and the heat of the stone must must be infront of the Sphinx..,the angle is 90 degrees-the legs of the Sphinx. The proofs for generator of spaceship are in the Great Sphinx of Giza. The void is completely closed, which means anything inside would not have been touched for 4,500 years. This entry was posted in Uncategorized and tagged "Scan Pyramids", "Scan Pyramids” project, #florida, 'cavities' in Egypt's Great Pyramid, - mystery, 2016 Election, 3D reconstruction, Ahmet Davutoglu, Alabama, Alaska, Ancient, Ancient Egypt, anomalies, Antalya, antiquities ministry, Arab League, Archaeological Discovery, archaeologist, Arizona, Arkansas, Asa Hutchinson, Ayatollah Ali Khamenei, Ban Ki-moon, Barack Obama, base stones, Bill Walker, Bobby Jindal, Bosphorus, British archaeologist, Bruce Rauner, Brussels, burial site, Butch Otter, Cairo, California, chamber, Charlie Baker, Cheops Pyramid, clairvoyant, co-director of the Scan Pyramids mission, Colorado, Connecticut, correlation, Da'esh, Daesh 2016, Dahzur's Bent Pyramid, Dannel Malloy, David Ige, Delaware, Democrats, Dimitrinka Staikova, Discovery, Doug Ducey, Egypt, Egypt's antiquites minister, Egyptian, Egyptian Pyramids, Egyptian tomb of pharaoh Khufu, Egyptians, Egyptologists, EU Migrant Crisis, European Countries, Faculty of Engineering at Cairo University, France, Francois Hollande, Future of Islamic State, G20 Summit, Gas Exporting Countries Forum (GECF) Summit, Georgia, Giacomo Deposit, Giza, Giza Plateau, GOP, Governor John Bel Edwards, Great Britain, Great Pyramid of Cheops, Great Pyramid of Giza, Hawaii, Heritage Innovation Preservation, hidden chambers, HIP Institute, History, How ancient egyptian built the pyramids, Idaho, Illinois, Indiana, infrared thermography, Iowa, iran, Iraq, Iraw, ISIS, ISIS Oil Trade, israel, Istanbul, Ivelina Staikova, Jack Markell, Jay Nixon, Jean -Claude Juncker, Jens Stoltenberg, Jerry Brown, Jihad in Europe, John Hickenlooper, Kansas, Kentucky, Khafre, Khufu, King Khufu, King Tutankhamun's tomb, Larry Hogan, limestone, Lincoln Chafee, Louisiana, Maine, Mamdouh el-Damaty, Mark Dayton, Maryland, Massachusetts, Mehdi Tayoubi, Michigan, Middle East, Mike Pence, Military actions near the pyramids, Mining concession, Minister of Antiquites and Heritage, Ministry of Antiques of the Arab Republic of Egypt, Minnesota, Mississippi, Missouri, money, Montana, muography, muon radiography imaging, Mustafa Akıncı, mysteries, Nabil al Arabi, Nabil Elaraby, Nathan Deal, NATO, Nefertiti, new project, news, Nicholas Reeves, Nile, oil fields, Operation Scan Pyramids, Paris attacks, Paris Climate Change Conference, Paul Lepage, Peace, Peru, Pharaoh Khufu, pharaoh Snefru, pharaoh's tomb, Phil Bryant, PKK, president of Turkey, prophecies, psychic, psychic news, psychic predictions, Psychic Predictions about USA 2016, psychic reading, pyramid, pyramid builders, Pyramid Construction, Pyramid of Giza, Pyramid of Khafre, Pyramid of Khufu, pyramid's northeast flank, Queen Nefertiti, radar scans of Tutankhamun's tomb, Reccep Tayyip Erdogan, Recep Tayyip Erdogan, Red Pyramid, Red pyramids in Dahshur, Refugee Wave, Republicans, Rick Perry, Rick Scott, Rick Snyder, Robert J. Bentley, Russia, Russian warplane, Russianplane shot down, Scan Pyramids Mission, Scanning pyramids, scanning technology, ScanPyramids, scientist, scientists, secret chamber, secret chambers, secret rooms, Secretary General of NAT, Secretary General of Nato, Secretary General of the Arab League, Secrets, Silica-Titanium, Smithsonian, State Governor, State Governor Asa Hutchinson, State Governor Bill Walker, State Governor Bruce Rauner, State Governor Butch Otter, State Governor Charlie Baker, State Governor Dannel Malloy, State Governor David Ige, State governor Jack Markell, State Governor Jay Nixon, State Governor Jerry Brown, State Governor John Hickenlooper, State Governor Larry Hogan, State Governor Mark Dayton, State Governor Mike Pence, State Governor Nathan Deal, State Governor Paul Lepage, State Governor Phil Bryant, State Governor Rick Scott, State Governor Robert J. Bentley, State Governor Steve Beshear, State Governor Steve Bullock, State Governor Terry Branstad, State Goveror Rick Snyder, Steve Beshear, Steve Bullock, Stone blocks, Syria, Tacna, terrorism, terrorist’s actions in Brussels, terrorists, Terry Branstad, the Great Pyramid, the Leader of ISIS, the seven wonders of the ancient world, the Valley of the Kings, the war in Syria, thermal imaging, Titanium, Titanium Mine, tomb, Tomb of Khufu, tool marks, Trending Today, Turkey, Turkey’s Erdogan, Turkish prime minister, Turkish Republic of Northern Cyprus, Turkish-Syrian Border, Tutankhamun's tomb, unknown cavities, US Election 2016, Vladimir Putin, vote, war, War footing, Withdrawal of : Scott Walker and Jim Webb, world news, world predictions, World Predictions 2016, World Predictions about Europe 2016, world predictions that came true on November 6, 2017 by Clairvoyant Dimitrinka Staikova. Nevada and State Governor Brian Sandoval – Clairvoyant/Psychic Predictions for USA 2016 – About Each State Of America – Who will win on US Election 2016 – Democrats or Republicans ? – By Clairvoyant House “Dimitrinka Staikova and Daughters Stoyanka and Ivelina Staikova ” – from Europe, Bulgaria, Varna – 12.12.2015, 3pm. …..US Election 2016 – Year 2016 the state of Nevada is in Internal war and votes about the Democrats…..
New Jersey and State Governor Chris Christie – Clairvoyant/Psychic Predictions for USA 2016 – About Each State Of America – Who will win on US Election 2016 – Democrats or Republicans ? – By Clairvoyant House “Dimitrinka Staikova and Daughters Stoyanka and Ivelina Staikova ” – from Europe, Bulgaria, Varna – 16.12.2015, 7pm. …..US Election 2016 – In the State, there will be a fierce battle among Democrats and Republicans. I still don’t see the winner…..
New Mexico and State Governor Susana Martinez – Clairvoyant/Psychic Predictions for USA 2016 – About Each State Of America – Who will win on US Election 2016 – Democrats or Republicans ? – By Clairvoyant House “Dimitrinka Staikova and Daughters Stoyanka and Ivelina Staikova ” – from Europe, Bulgaria, Varna – 16.12.2015, 8pm. …… In the State of New Mexico there will be a military equipment, as on a military exercise -Summer 2016. Since July 2016, again – unrest because of refugees. US Election 2016 – The State votes for the Democrats….. ……..US Election 2016 – The State of Oklahoma is for the Democrats, but I see strong imposition of Republicans. There will be a fierce battle. The outcome (the exit ) is unknown, because they consciously choose the Democrats, but I see acquiscence and obedience……. Oregon and State Governor Kate Brown – “I don’t recommend gambling – Year 2016 is not good for gambing – Whatever you win, you will loose it – Clairvoyant/Psychic Predictions for USA 2016 – About Each State Of America – Who will win on US Election 2016 – Democrats or Republicans ? – By Clairvoyant House “Dimitrinka Staikova and Daughters Stoyanka and Ivelina Staikova ” – from Europe, Bulgaria, Varna – 18.12.2015, 3pm. • ……..May 2016 – In the state are preparing for war, armament (arming), Army. Also the citizens are preparing for war – I see keeping (protecting) of border. June- July 2016 – New rearrangement in the state, new regulations, new law – …. US Election 2016 – The Democrats has bigger chanse. Pennsylvania and State Governor Tom Wolf Clairvoyant/Psychic Predictions for USA 2016 – About Each State Of America – Who will win on US Election 2016 – Democrats or Republicans ? – By Clairvoyant House “Dimitrinka Staikova and Daughters Stoyanka and Ivelina Staikova ” – from Europe, Bulgaria, Varna – 18.12.2015, 4pm. Texas and State Governor Greg Abbott Clairvoyant/Psychic Predictions for USA 2016 – About Each State Of America – Who will win on US Election 2016 – Democrats or Republicans ? – By Clairvoyant House “Dimitrinka Staikova and Daughters Stoyanka and Ivelina Staikova ” – from Europe, Bulgaria, Varna – 22.12.2015, 1 pm. ……The war between the Republicans and Democrats in the last moment is causing internal war in the state of Texas…..
• November 2016 – There will be event, which the Governor will feel like a “Cutting of heads”. US Election 2016 – The State is for the Democrats. Wisconsin and State Governor Scott Walker Clairvoyant/Psychic Predictions for USA 2016 – About Each State Of America – Who will win on US Election 2016 – Democrats or Republicans ? – By Clairvoyant House “Dimitrinka Staikova and Daughters Stoyanka and Ivelina Staikova ” – from Europe, Bulgaria, Varna – 28.12.2015, 9 am. Until March 2016 there will be good gainings (incomes) in the state by business. The state will be the beginning of business companies, which are starting investments in that state and other states : fast constructions :Stores as huge halls (storehouses,storages) – with everything inside – from cars to confectionery. The most profitable will be a Confectionary shop. The weather, rains and cold doesn’t influence the business. The state will increases the confidence to religious organisations, because of their cares to the people – January, February 2016. The only thing that will cause problems to that weather are the lightnings, the electricity and the threat for falling of Space Objects. • March 2016 – is heavy month for decisions – I see the people to make a step ahead and to turn their back to old choices. March and April 2016 is the time of the Spring. The nature and the souls of the people are revived. • The end of April and May 2016 – I hear shootings and explosions everywhere. • June 2016 – Winning the lottery will inspire the state. This year 2016, the Summer, I see successful treasure-hunting in a searching for gold and antiques. • July 2016 will be heavy for the state, because of the weather and air pressure. The criminality is reduced, because of the dictatorship efforts of the police and the law. • September 2016 are beginning the unrests (emotions), because of the Election 2016 and Cleavage in the business. • October 2016 will be heavy too, because of the natural cataclysms and money – stopped financing. US Election 2016 – In the state are winning the Republicans. Protests turned violent in the West Coast city of Portland, Oregon, early Saturday amid fears a Trump presidency will erode Americans’ civil rights and trigger unrest. In New York, hundreds of people gathered in Washington Square Park for a “love rally” late Friday, then set out for Manhattan’s Union Square, a traditional destination for political marches, about a half mile (one kilometer) away. They held signs saying “Love will always trump hate” and chanted “Not my president” as they walked. Since Trump’s election, reports have shown an uptick in racist incidents and hate crimes across the country. The Southern Poverty Law Center, which monitors hate groups, documented more than 200 incidents of hateful harassment and intimidation in the three days after Election Day. 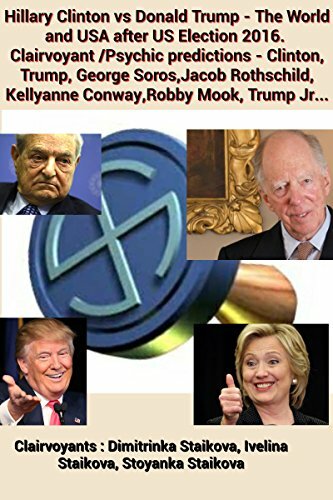 This entry was posted in #Finance, banks, Bilderberg group, billionaires, Black Lives Matter, business, Clairvoyant, Confirmation, Donald Trump, Health diagnosis, Hillary Clinton, migrant crisis, Money, Politicians, President Barack Obama, Psychic, Syria, terrorism, Uncategorized, Us Elections 2016, War, Washington, World predictions that came true and tagged #florida, #job, 2016 Election, 2016 Presidential Election, 2016 World Predictions, a Wisconsin recount, Ahmet Davutoglu, Alabama, Alaska, Andrew Cuomo, Antalya, Arab League, Arizona, Arkansas, Asa Hutchinson, Attorney General, auditor general, Ayatollah Ali Khamenei, Ban Ki-moon, Barack Obama, Bill Haslam, Bill Walker, Bobby Jindal, Bosphorus, Brian Sandoval, Bruce Rauner, Brussels, business, Business offer, Butch Otter, California, Charlie Baker, Chris Christie, clairvoyant, Clairvoyant/Psychic Calendar, Climate Change, Colorado, Connecticut, Da'esh, Daesh 2016, Dannel Malloy, David Ige, Delaware, Democratic presidential nominee, Democrats, Dennis Daugaard, Dimitrinka Staikova, Disasters, District of Columbia, Doug Ducey, Earl Ray Tomblin, Egypt, Election results, Electoral College, Electronic Voting Machines, electronic voting system, EU Migrant Crisis, European Countries, Every State, FOR SALE, former US President Clinton, France, Francois Hollande, fundraising site, Future of Islamic State, G20 Summit, Gary Herbert, Gas Exporting Countries Forum (GECF) Summit, Georgia, Giacomo Deposit, Gina Raimondo, GOP, Governor, Governor John Bel Edwards, Governor Scott Walker, Governor Tom Wolf, Great Britain, Green Party candidate Jill Stein, Greg Abbott, Hawaii, Hillary Clinton, hottest news predictions, Idaho, Illinois, Indiana, Investments, Iowa, iran, Iraq, Iraw, ISIS, ISIS Oil Trade, israel, Istanbul, Ivelina Staikova, Jack Dalrymple, Jack Markell, Jay Inslee, Jay Nixon, Jean -Claude Juncker, Jens Stoltenberg, Jerry Brown, Jihad in Europe, John Hickenlooper, John Kasich, Kansas, Kate Brown, Kentucky, Larry Hogan, Lincoln Chafee, Louisiana, Maggie Hassan, Maine, Mamdouh el-Damaty, Mark Dayton, Mary Fallin, Maryland, Massachusetts, Matt Mead, Mayor Muriel Bowser, Michigan, Middle East, Mike Pence, Mining concession, Minister of Antiquites and Heritage, Minnesota, Mississippi, Missouri, money, Montana, Muriel Bowser, Mustafa Akıncı, Nabil al Arabi, Nabil Elaraby, Nathan Deal, NATO, Natural Cataclysms, Nebraska, Nevada, New Hampshire, New Jersey, New Mexico, New York, Nikki Haley, North Carolina, North Dakota, Obama administration, Ohio, Oil and Gas Business, oil fields, Oklahoma, Oregon, paper ballots, Paris attacks, Paris Climate Change Conference, Pat McCrory, Paul Lepage, Peace, Pennsylvania, Pennsylvania recount, Pennsylvania Recount 2016, Pennsylvania Secretary of State, Pennsylvania voters, Peru, Pete Ricketts, Peter Shumlin, Phil Bryant, PKK, Plot about the Murder of The President of USA, Predictions, Predictions for USA About Each State, president of Turkey, prophecies, psychic, psychic news, psychic predictions, Psychic Predictions about USA 2016, Psychic Predictions for USA 2016, Reccep Tayyip Erdogan, Recep Tayyip Erdogan, recount of 2016 presidential election results, Refugee Wave, Republican, Republicans, Rhode Island, Rick Perry, Rick Scott, Rick Snyder, Robert J. Bentley, Russia, Russian warplane, Russianplane shot down, Scott Walker, Secretary General of NAT, Secretary General of Nato, Secretary General of the Arab League, Silica-Titanium, South Carolina, South Dakota, State, State Governor, State Governor Asa Hutchinson, State Governor Bill Walker, State Governor Bruce Rauner, State Governor Butch Otter, State Governor Charlie Baker, State Governor Dannel Malloy, State Governor David Ige, State governor Jack Markell, State Governor Jay Nixon, State Governor Jerry Brown, State Governor John Hickenlooper, State Governor Larry Hogan, State Governor Mark Dayton, State Governor Mike Pence, State Governor Nathan Deal, State Governor Paul Lepage, State Governor Phil Bryant, State Governor Rick Scott, State Governor Robert J. Bentley, State Governor Steve Beshear, State Governor Steve Bullock, State Governor Terry Branstad, State Goveror Rick Snyder, state treasurer, state’s Election Commission, Stein campaign, Stein recount efforts, Stein’s recount efforts, Steve Beshear, Steve Bullock, Susana Martinez, Syria, Tacna, Tennessee, terrorism, terrorist’s actions in Brussels, terrorists, Terry Branstad, Terry McAuliffe, Texas, The county board, the Leader of ISIS, The Los Angeles Times, the war in Syria, Titanium, Titanium Mine, Trump votes, Trump won Wisconsin, Trump’s victory, Turkey, Turkey’s Erdogan, Turkish prime minister, Turkish Republic of Northern Cyprus, Turkish-Syrian Border, U.S. Senate, US Election 2016, US President Barack Obama, Utah, Vermont, Virginia, Vladimir Putin, vote, war, War footing, Washington, West Virginia, What will happen through Year 2016 and after that... for USA and the World, Wisconsin, Wisconsin’s recount, Withdrawal of : Scott Walker and Jim Webb, World Predictions 2016, World Predictions about Europe 2016, World Predictions for Year 2016 about USA and the World, world predictions that came true, Wyoming on December 4, 2016 by Clairvoyant Dimitrinka Staikova. 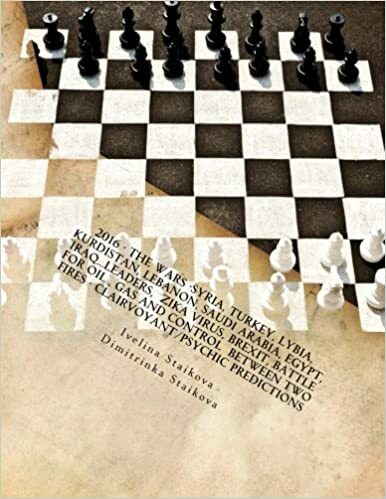 Arizona and State Governor Doug Ducey World Predictions about each State of USA for Year 2016 – Clairvoyant/Psychic Predictions by Clairvoyant House “Dimitrinka Staikova and Daughters Stoyanka and Ivelina Staikova” – from Europe, Bulgaria, Varna – 22.11.2015, 4 pm. In this State of USA everything will goes difficult year 2016 and under the sign of the war. The most important is that everuthing ends favorably. I see problems with the wood. Rains – Storms – Natural Cataclysms. Problems with Military Objects…..
Louisiana and Governor John Bel Edwards Clairvoyant/Psychic Predictions for Year 2016 – by Clairvoyant House “Dimitrinka Staikova and Daughters Stoyanka and Ivelina Staikova ” – from Europe,Bulgaria,Varna – 23.11.2015, 4pm. Delaware and State governor Jack Markell World Predictions about USA 2016 – Psychic Predictions by Clairvoyant House “Dimitrinka Staikova and Daughters Stoyanka and Ivelina Staikova ” – from Europe,Bulgaria,Varna – 26.11.2015,9 am. Florida and State Governor Rick Scott World Predictions about USA 2016 – Psychic Predictions by Clairvoyant House “Dimitrinka Staikova and Daughters Stoyanka and Ivelina Staikova ” – from Europe,Bulgaria,Varna – 26.11.2015, 10 am. ……The state of Florida will increases the tourists and the money. It will be increased also the military presence from the Summer of 2016…..
Georgia and State Governor Nathan Deal World Predictions about USA 2016 – Psychic Predictions by Clairvoyant House “Dimitrinka Staikova and Daughters Stoyanka and Ivelina Staikova ” – from Europe,Bulgaria,Varna – 26.11.2015, 11 am. Hawaii and State Governor David Ige World Predictions about USA 2016 – Psychic Predictions by Clairvoyant House “Dimitrinka Staikova and Daughters Stoyanka and Ivelina Staikova ” – from Europe,Bulgaria,Varna – 27.11.2015, 2 pm. 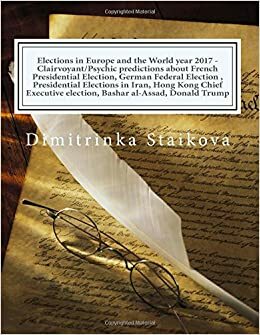 • …..November 2016 – US Election 2016 – In priciple, the state is about the Republicans, but a few times it refuses its choice. Hard and unspecified choice – until the end it will remains unknown. What is more important about the State of Hawaii – Two energy sources, for the one of them will be led a war. 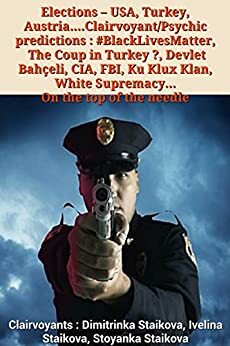 And there the Police is Number 1. Also appears radiation by Fukushima…..
Illinois and State Governor Bruce Rauner World Predictions about USA 2016 – Psychic Predictions by Clairvoyant House “Dimitrinka Staikova and Daughters Stoyanka and Ivelina Staikova ” – from Europe,Bulgaria,Varna – 27.11.2015, 4 pm. ……Now, the state of Illinois tends to the Democrats, the things will change year 2016 – November. Possible falsification for the Election 2016…..
Indiana and State Governor Mike Pence World Predictions about USA 2016 – Psychic Predictions by Clairvoyant House “Dimitrinka Staikova and Daughters Stoyanka and Ivelina Staikova ” – from Europe,Bulgaria,Varna – 27.11.2015, 9 pm. • Bad winter weather conditions – there will be many rescue operations about the saving of the people. • Problems with medical service of the people. 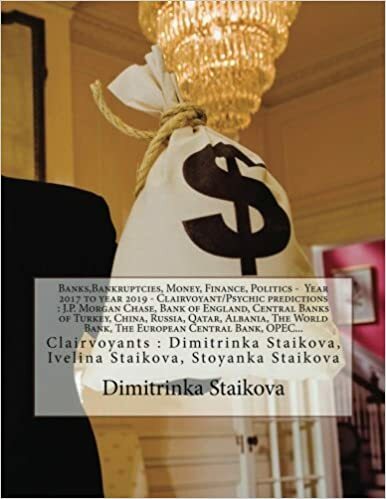 • Bad invested money – I see until the end of year 2015, a lot of earned and then bad invested and lost money. The governor suffers by disease in the bones – incurable – that affects his nervous system and his heart. The disease of the bones is caused by a hit and bruised tail bone of the spine – there, he will has a cyst. At first look, the governor of Indiana has hard character – he likes the children, that’s why the children in the state will have special cares. Maryland and State Governor Larry Hogan World Predictions about USA 2016 – Psychic Predictions by Clairvoyant House “Dimitrinka Staikova and Daughters Stoyanka and Ivelina Staikova ” – from Europe,Bulgaria,Varna – 28.11.2015, 5 pm. • …….Autumn 2016 – There will be many charges by the Prosecution. 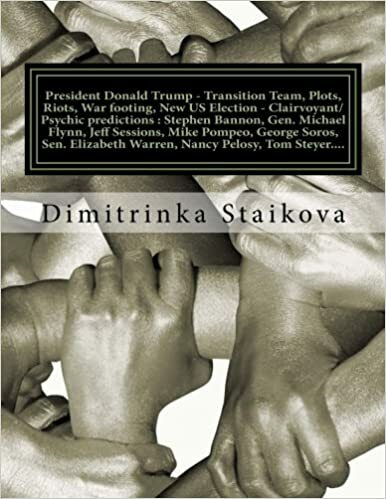 On US Election 2016 – In the state are prevailing the Democrats……..
Michigan and State Goveror Rick Snyder World Predictions about USA 2016 – Psychic Predictions by Clairvoyant House “Dimitrinka Staikova and Daughters Stoyanka and Ivelina Staikova ” – from Europe,Bulgaria,Varna – 1.12.2015, 3 pm. ….. The food will be bad – poisoned. Radiation in the air – Summer,Autumn 2016. 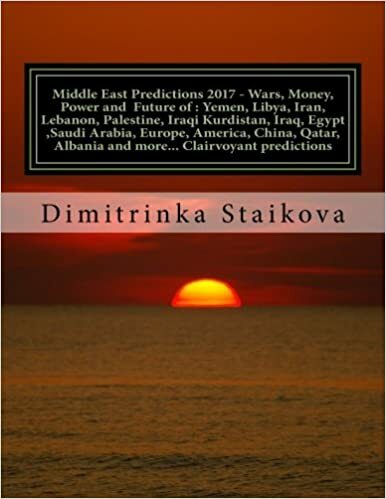 US Election 2016 – The State of Michigan votes about the Republicans…..
Minnesota and State Governor Mark Dayton World Predictions about USA 2016 – Psychic Predictions by Clairvoyant House “Dimitrinka Staikova and Daughters Stoyanka and Ivelina Staikova ” – from Europe,Bulgaria,Varna – 1.12.2015, 4 pm. Missouri and State Governor Jay Nixon World Predictions about USA 2016 – Psychic Predictions by Clairvoyant House “Dimitrinka Staikova and Daughters Stoyanka and Ivelina Staikova ” – from Europe,Bulgaria,Varna – 1.12.2015, 6 pm. …..The state is preparing for a war – The third World War. 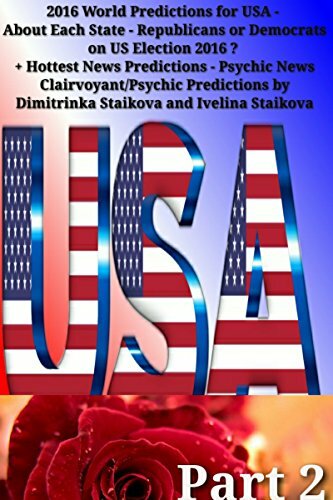 US Election 2016 – Voting about the Republicans…..
Montana and State Governor Steve Bullock World Predictions about USA 2016 – Psychic Predictions by Clairvoyant House “Dimitrinka Staikova and Daughters Stoyanka and Ivelina Staikova ” – from Europe,Bulgaria,Varna – 2.12.2015, 1 pm. ….On US Election 2016 – there will be a hassle, reconciliation, disagreement, but at the end will remain the Republicans – there will be voting because of business and money. 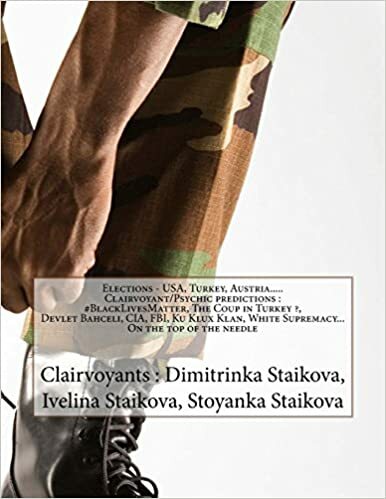 This entry was posted in #Finance, Ankara, Bank of England, banks, Bilderberg group, billionaires, Black Lives Matter, BRUSSELS ATTACKS, business, Clairvoyant, Confirmation, Cyprus, Davutoglu, Donald Trump, Erdogan, Health diagnosis, Hillary Clinton, migrant crisis, Money, Peace, Politicians, President Barack Obama, Psychic, Syria, terrorism, Turkey, Uncategorized, Us Elections 2016, War, Washington, World predictions that came true and tagged "Scan Pyramids” project, #florida, 2016 Election, 4th Baron Rothschild, A change of the Vice President, afghanistan, Ahmet Davutoglu, Alabama, Alaska, American energy, American white nationalist, Antalya, Anti-Trump Protests, Arab League, Arizona, Arkansas, Asa Hutchinson, attacks on Black Lives Matter, Attorney General: Jeff Sessions, Ayatollah Ali Khamenei, “Open Society Foundations”, Ban Ki-moon, Barack Obama, Ben Carson, Bill Walker, Billionaire Environmentalist Tom Steyer, Billionaire Tom Steyer, billionaires, Bobby Jindal, Bosphorus, Bruce Rauner, Brussels, Butch Otter, C.I.A., California, campaign managers, Capitol Hill, Chairman of Trump's Campaign, Charlie Baker, cheated protesters, CIA Director: Mike Pompeo, clairvoyant, Climate Change, climate change denial, co-founder of PayPal, Colorado, congressional Democrats, Connecticut, Da'esh, Daesh 2016, Dannel Malloy, David Ige, Defense Intelligence Agency, Delaware, Democratic National Committee, Democratic party, Democrats, Department of Justice, dictatorship, Dimitrinka Staikova, Donald Trump, Donald Trump in the White House, Donald Trump Jr., Donald Trump’s global conflicts of interest, Donald Trump’s transition team, Doug Ducey, Egypt, Elizabeth Warren, entering of Russia in the power, EPA, EU Migrant Crisis, European Countries, experience, financier, Florida Attorney General, foreign policy, former hedge fund manager, France, Francois Hollande, freedom of speech, Future of Islamic State, G20 Summit, Gas Exporting Countries Forum (GECF) Summit, General Mike Flynn, Georgia, Giacomo Deposit, GOP, Governor John Bel Edwards, Great Britain, green activist, Hawaii, health, high-level strategist, Hillary Clinton, Idaho, ideology, Illinois, immigrants, independence, Indiana, industry lobbying, intelligence analyst, invasion of russians, Iowa, iran, Iraq, Iraw, ISIS, ISIS Oil Trade, Islamic Terrorism, israel, Istanbul, Ivanka Trump, Ivelina Staikova, Jack Markell, Jacob Rothschild, Jared Kushner, Jay Nixon, Jean -Claude Juncker, Jens Stoltenberg, Jerry Brown, Jihad in Europe, John Hickenlooper, Justice Department', Kansas, Keith Ellison, Kellyanne Conway, Kentucky, Ku Klux Klan, Larry Hogan, lawsuit, liberal billionaire George Soros, Lincoln Chafee, Louisiana, Maine, Mamdouh el-Damaty, Mar-a-Lago resort, Mark Dayton, Maryland, mass deportations, Massachusetts, Michigan, Middle East, Mike Pence, Mining concession, Minister of Antiquites and Heritage, Minnesota, Mississippi, Missouri, money, Montana, muslims, Mustafa Akıncı, N.S.C. adviser, Nabil al Arabi, Nabil Elaraby, Nancy Pelosy, Nathan Deal, National Security Council, national-security adviser, NATO, Newt Gingrich, NextGen Climate, Nikki Haley, North American Free Trade Agreement, Not My President, oil fields, Pam Bondi, Paris attacks, Paris Climate Change Conference, Paul Lepage, Peace, Peru, Peter Thiel, Phil Bryant, Philanthropy, PKK, Plots against Trump, politician, Portland’s Resistance, president of Turkey, President-elect, Prison, private grant-making foundation, prophecies, protests, psychic news, psychic predictions, Psychic Predictions about USA 2016, rebellions, Reccep Tayyip Erdogan, Recep Tayyip Erdogan, Refugee Wave, Reince Priebus, relations with Russia, Republican National Committee, Republicans, Rick Perry, Rick Scott, Rick Snyder, Robert J. Bentley, Rudy Giuliani, Russia, Russian warplane, Russianplane shot down, Secretary General of NAT, Secretary General of Nato, Secretary General of the Arab League, seizing the power from the Prosection, Senate Intelligence Committee, Senator Jeff Sessions, shale energy, Silica-Titanium, Soros-Funded Group, State Department, State Governor, State Governor Asa Hutchinson, State Governor Bill Walker, State Governor Bruce Rauner, State Governor Butch Otter, State Governor Charlie Baker, State Governor Dannel Malloy, State Governor David Ige, State governor Jack Markell, State Governor Jay Nixon, State Governor Jerry Brown, State Governor John Hickenlooper, State Governor Larry Hogan, State Governor Mark Dayton, State Governor Mike Pence, State Governor Nathan Deal, State Governor Paul Lepage, State Governor Phil Bryant, State Governor Rick Scott, State Governor Robert J. Bentley, State Governor Steve Beshear, State Governor Steve Bullock, State Governor Terry Branstad, State Goveror Rick Snyder, Stephen Bannon, Stephen K. Bannon, Steve Beshear, Steve Bullock, Steven Mnuchin, super PAC NextGen Climate Action, Syria, Tacna, terrorism, terrorist’s actions in Brussels, terrorists, Terry Branstad, the governor of South Carolina, the intelligence agencies, the Kansas congressman Mike Pompeo, the Leader of ISIS, The Minority leader of the United States House of Representative, The Pentagon, the Secret Service, the Trump cabinet, the war in Syria, The White House, Titanium, Titanium Mine, Tom Steyer, Trans-Pacific Partnership, Trans-Pacific Partnership trade deal, Trump Administration, Trump campaign, Trump Foundation, Trump loyalists, Trump transition, Trump University, Trump’s business empire, Trump’s children, Trump’s economic policies, Trump’s victory, Turkey, Turkey’s Erdogan, Turkish prime minister, Turkish Republic of Northern Cyprus, Turkish-Syrian Border, US Election 2016, Vice President-elect Mike Pence, Vladimir Putin, vote, Wall Street executive, war, War footing, White House advisers, Withdrawal of : Scott Walker and Jim Webb, World Conspiracies, World Predictions 2016, World Predictions about Europe 2016, world predictions that came true on November 29, 2016 by Clairvoyant Dimitrinka Staikova. • ……….November 2016 – US Election 2016 – The state is for the Democrats, but the Republicans will pour a lot of money. In the decision is involved Court and Prosecution ( The Republicans are winning very difficult and with a lot of money)………..
….In Pennsylvania, unlike Michigan and Wisconsin, “voters or candidates can petition courts for a recount of the vote. A judge is required to make a decision on whether one should go ahead,” said the UK Daily Mail. This entry was posted in #Finance, Ankara, billionaires, Black Lives Matter, business, Clairvoyant, Confirmation, Donald Trump, Health diagnosis, Hillary Clinton, migrant crisis, Money, Peace, Politicians, President Barack Obama, Psychic, Syria, terrorism, Turkey, Uncategorized, Us Elections 2016, War, Washington, World predictions that came true and tagged #florida, #job, 2016 Election, 2016 Presidential Election, 2016 World Predictions, a Wisconsin recount, Ahmet Davutoglu, Alabama, Alaska, Andrew Cuomo, Antalya, Arab League, Arizona, Arkansas, Asa Hutchinson, Attorney General, auditor general, Ayatollah Ali Khamenei, Ban Ki-moon, Barack Obama, Bill Haslam, Bill Walker, Bobby Jindal, Bosphorus, Brian Sandoval, Bruce Rauner, Brussels, business, Business offer, Butch Otter, California, Charlie Baker, Chris Christie, clairvoyant, Clairvoyant/Psychic Calendar, Climate Change, Colorado, Connecticut, Da'esh, Daesh 2016, Dannel Malloy, David Ige, Delaware, Democratic presidential nominee, Democrats, Dennis Daugaard, Dimitrinka Staikova, Disasters, District of Columbia, Doug Ducey, Earl Ray Tomblin, Egypt, Election results, Electoral College, Electronic Voting Machines, electronic voting system, EU Migrant Crisis, European Countries, Every State, FOR SALE, former US President Clinton, France, Francois Hollande, fundraising site, Future of Islamic State, G20 Summit, Gary Herbert, Gas Exporting Countries Forum (GECF) Summit, Georgia, Giacomo Deposit, Gina Raimondo, GOP, Governor, Governor John Bel Edwards, Governor Scott Walker, Governor Tom Wolf, Great Britain, Green Party candidate Jill Stein, Greg Abbott, Hawaii, Hillary Clinton, hottest news predictions, Idaho, Illinois, Indiana, Investments, Iowa, iran, Iraq, Iraw, ISIS, ISIS Oil Trade, israel, Istanbul, Ivelina Staikova, Jack Dalrymple, Jack Markell, Jay Inslee, Jay Nixon, Jean -Claude Juncker, Jens Stoltenberg, Jerry Brown, Jihad in Europe, John Hickenlooper, John Kasich, Kansas, Kate Brown, Kentucky, Larry Hogan, Lincoln Chafee, Louisiana, Maggie Hassan, Maine, Mamdouh el-Damaty, Mark Dayton, Mary Fallin, Maryland, Massachusetts, Matt Mead, Mayor Muriel Bowser, Michigan, Middle East, Mike Pence, Mining concession, Minister of Antiquites and Heritage, Minnesota, Mississippi, Missouri, money, Montana, Muriel Bowser, Mustafa Akıncı, Nabil al Arabi, Nabil Elaraby, Nathan Deal, NATO, Natural Cataclysms, Nebraska, Nevada, New Hampshire, New Jersey, New Mexico, New York, Nikki Haley, North Carolina, North Dakota, Obama administration, Ohio, Oil and Gas Business, oil fields, Oklahoma, Oregon, paper ballots, Paris attacks, Paris Climate Change Conference, Pat McCrory, Paul Lepage, Peace, Pennsylvania, Pennsylvania Recount 2016, Pennsylvania Secretary of State, Pennsylvania voters, Peru, Pete Ricketts, Peter Shumlin, Phil Bryant, PKK, Plot about the Murder of The President of USA, Predictions, Predictions for USA About Each State, president of Turkey, prophecies, psychic, psychic news, psychic predictions, Psychic Predictions about USA 2016, Psychic Predictions for USA 2016, Reccep Tayyip Erdogan, Recep Tayyip Erdogan, recount of 2016 presidential election results, Refugee Wave, Republican, Republicans, Rhode Island, Rick Perry, Rick Scott, Rick Snyder, Robert J. Bentley, Russia, Russian warplane, Russianplane shot down, Scott Walker, Secretary General of NAT, Secretary General of Nato, Secretary General of the Arab League, Silica-Titanium, South Carolina, South Dakota, State, State Governor, State Governor Asa Hutchinson, State Governor Bill Walker, State Governor Bruce Rauner, State Governor Butch Otter, State Governor Charlie Baker, State Governor Dannel Malloy, State Governor David Ige, State governor Jack Markell, State Governor Jay Nixon, State Governor Jerry Brown, State Governor John Hickenlooper, State Governor Larry Hogan, State Governor Mark Dayton, State Governor Mike Pence, State Governor Nathan Deal, State Governor Paul Lepage, State Governor Phil Bryant, State Governor Rick Scott, State Governor Robert J. Bentley, State Governor Steve Beshear, State Governor Steve Bullock, State Governor Terry Branstad, State Goveror Rick Snyder, state treasurer, state’s Election Commission, Stein recount efforts, Steve Beshear, Steve Bullock, Susana Martinez, Syria, Tacna, Tennessee, terrorism, terrorist’s actions in Brussels, terrorists, Terry Branstad, Terry McAuliffe, Texas, The county board, the Leader of ISIS, The Los Angeles Times, the war in Syria, Titanium, Titanium Mine, Trump votes, Trump won Wisconsin, Trump’s victory, Turkey, Turkey’s Erdogan, Turkish prime minister, Turkish Republic of Northern Cyprus, Turkish-Syrian Border, U.S. Senate, US Election 2016, US President Barack Obama, Utah, Vermont, Virginia, Vladimir Putin, vote, war, War footing, Washington, West Virginia, What will happen through Year 2016 and after that... for USA and the World, Wisconsin, Wisconsin’s recount, Withdrawal of : Scott Walker and Jim Webb, World Predictions 2016, World Predictions about Europe 2016, World Predictions for Year 2016 about USA and the World, world predictions that came true, Wyoming on November 27, 2016 by Clairvoyant Dimitrinka Staikova. May all your wishes come true ! Time – Until February – March year 2017. Then strange events will occur around the Cheops Pyramid and new owners. 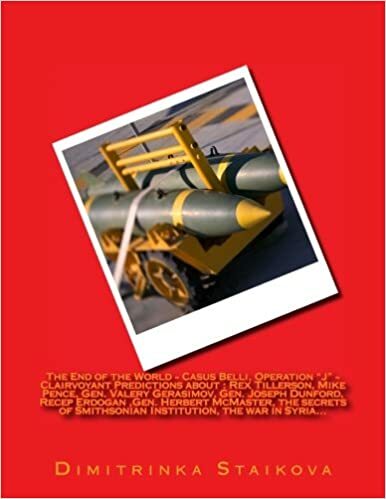 This entry was posted in Ankara, Bilderberg group, billionaires, Black Lives Matter, BRUSSELS ATTACKS, business, Clairvoyant, Confirmation, Cyprus, Davutoglu, Donald Trump, Erdogan, Health diagnosis, Hillary Clinton, Italy Earthquake, Manuel Valls, MH370, migrant crisis, Money, Nicos Anastasiades, Peace, Politicians, President Barack Obama, Psychic, royal family, Stephen Hawking, Syria, terrorism, Turkey, Uncategorized, Us Elections 2016, War, Washington, World predictions that came true and tagged "Scan Pyramids", "Scan Pyramids” project, #florida, 'cavities' in Egypt's Great Pyramid, - mystery, 2016 Election, 3D reconstruction, Ahmet Davutoglu, Alabama, Alaska, Ancient, Ancient Egypt, anomalies, Antalya, antiquities ministry, Arab League, Archaeological Discovery, archaeologist, Arizona, Arkansas, Asa Hutchinson, Ayatollah Ali Khamenei, Ban Ki-moon, Barack Obama, base stones, Bill Walker, Bobby Jindal, Bosphorus, British archaeologist, Bruce Rauner, Brussels, burial site, Butch Otter, Cairo, California, chamber, Charlie Baker, Cheops Pyramid, clairvoyant, co-director of the Scan Pyramids mission, Colorado, Connecticut, correlation, Da'esh, Daesh 2016, Dahzur's Bent Pyramid, Dannel Malloy, David Ige, Delaware, Democrats, Dimitrinka Staikova, Discovery, Doug Ducey, Egypt, Egypt's antiquites minister, Egyptian, Egyptian Pyramids, Egyptian tomb of pharaoh Khufu, Egyptians, Egyptologists, EU Migrant Crisis, European Countries, Faculty of Engineering at Cairo University, France, Francois Hollande, Future of Islamic State, G20 Summit, Gas Exporting Countries Forum (GECF) Summit, Georgia, Giacomo Deposit, Giza, Giza Plateau, GOP, Governor John Bel Edwards, Great Britain, Great Pyramid of Cheops, Great Pyramid of Giza, Hawaii, Heritage Innovation Preservation, hidden chambers, HIP Institute, History, How ancient egyptian built the pyramids, Idaho, Illinois, Indiana, infrared thermography, Iowa, iran, Iraq, Iraw, ISIS, ISIS Oil Trade, israel, Istanbul, Ivelina Staikova, Jack Markell, Jay Nixon, Jean -Claude Juncker, Jens Stoltenberg, Jerry Brown, Jihad in Europe, John Hickenlooper, Kansas, Kentucky, Khafre, Khufu, King Khufu, King Tutankhamun's tomb, Larry Hogan, limestone, Lincoln Chafee, Louisiana, Maine, Mamdouh el-Damaty, Mark Dayton, Maryland, Massachusetts, Mehdi Tayoubi, Michigan, Middle East, Mike Pence, Military actions near the pyramids, Mining concession, Minister of Antiquites and Heritage, Ministry of Antiques of the Arab Republic of Egypt, Minnesota, Mississippi, Missouri, money, Montana, muography, muon radiography imaging, Mustafa Akıncı, mysteries, Nabil al Arabi, Nabil Elaraby, Nathan Deal, NATO, Nefertiti, new project, news, Nicholas Reeves, Nile, oil fields, Operation Scan Pyramids, Paris attacks, Paris Climate Change Conference, Paul Lepage, Peace, Peru, Pharaoh Khufu, pharaoh Snefru, pharaoh's tomb, Phil Bryant, PKK, president of Turkey, prophecies, psychic, psychic news, psychic predictions, Psychic Predictions about USA 2016, psychic reading, pyramid, pyramid builders, Pyramid Construction, Pyramid of Giza, Pyramid of Khafre, Pyramid of Khufu, pyramid's northeast flank, Queen Nefertiti, radar scans of Tutankhamun's tomb, Reccep Tayyip Erdogan, Recep Tayyip Erdogan, Red Pyramid, Red pyramids in Dahshur, Refugee Wave, Republicans, Rick Perry, Rick Scott, Rick Snyder, Robert J. Bentley, Russia, Russian warplane, Russianplane shot down, Scan Pyramids Mission, Scanning pyramids, scanning technology, ScanPyramids, scientist, scientists, secret chamber, secret chambers, secret rooms, Secretary General of NAT, Secretary General of Nato, Secretary General of the Arab League, Secrets, Silica-Titanium, Smithsonian, State Governor, State Governor Asa Hutchinson, State Governor Bill Walker, State Governor Bruce Rauner, State Governor Butch Otter, State Governor Charlie Baker, State Governor Dannel Malloy, State Governor David Ige, State governor Jack Markell, State Governor Jay Nixon, State Governor Jerry Brown, State Governor John Hickenlooper, State Governor Larry Hogan, State Governor Mark Dayton, State Governor Mike Pence, State Governor Nathan Deal, State Governor Paul Lepage, State Governor Phil Bryant, State Governor Rick Scott, State Governor Robert J. Bentley, State Governor Steve Beshear, State Governor Steve Bullock, State Governor Terry Branstad, State Goveror Rick Snyder, Steve Beshear, Steve Bullock, Stone blocks, Syria, Tacna, terrorism, terrorist’s actions in Brussels, terrorists, Terry Branstad, the Great Pyramid, the Leader of ISIS, the seven wonders of the ancient world, the Valley of the Kings, the war in Syria, thermal imaging, Titanium, Titanium Mine, tomb, Tomb of Khufu, tool marks, Trending Today, Turkey, Turkey’s Erdogan, Turkish prime minister, Turkish Republic of Northern Cyprus, Turkish-Syrian Border, Tutankhamun's tomb, unknown cavities, US Election 2016, Vladimir Putin, vote, war, War footing, Withdrawal of : Scott Walker and Jim Webb, world news, world predictions, World Predictions 2016, World Predictions about Europe 2016, world predictions that came true on October 30, 2016 by Clairvoyant Dimitrinka Staikova. Mamdouh el-Damaty (Egypt – Minister of Antiquites and Heritage) – About the “Scan Pyramids” project – Clairvoyant/Psychic Predictions by Clairvoyant House ” Dimitrinka Staikova and daughters Stoyanka and Ivelina Staikova” – from Europe,Bulgaria,Varna – 07.11.2015, 10am. Scanning from West – the ray is going on East from the Space, but when it returns – on the middle of the way it deviates going to North. The many attempts are starting movement of the deviation of the ray. On the eighth attempt they will return it in the output western point, but it starts from the middle of the pyramid. Follows second attempt from the top of the pyramid downwards to the base. Here, the ray is reaching only the base of the pyramid above the ground. The Pyramid on which is made this attempt has inclination (strong) :West-Northeast. Two upper layers in the base of the pyramid are lightly under angle, but the other layers are strongly under angle. In the past, the pyramid was built on height. With many attempts, I see scanning of the underground part of the pyramid with strong inclination West-Northeast. The end section of triangle, which points North-South is almost 90 degrees (isosceles triangle the underground part of the pyramid). When will the “Scan Pyramids” project team has successful attempts? By the fourth time, when they decide to turn around the ray- from the bottom to the Space. Then I see – three rays upward to Northwest, two rays toward North and two rays on West. The Pyramid is more Special, the bottom is a landing, rectangular – it is turned to Northwest in its shorter end. • follows three square chambers – direction : North-East – this is the first half of the pyramid. • Follows in the second underground part two big rectangular halls, one after other – direction : Southwest – East. Follows fifth attempt – a ray from downward to the middle of the pyramid – A mirror is used – it is reaching the Space – here is involved second ray sent by little more eastern side, which crosses the first ray and disperse it a little above the top of the pyramid. The second ray is more stronger. The sixth attempt : there are put devices about scanning on certain three places from the both sides of the pyramid and four – on the top of the pyramid. Three images are received for each layer – successful attempt. The scanning of the Pyramids is hurried. In the next three months… On the third month there are Military Actions near the Pyramids – January 2016…..
…”We are now able to confirm the existence of a ‘void’ hidden behind the north face, that could have the form of at least one corridor going inside the Great Pyramid,” scientists from Operation Scan Pyramids said in a statement…. This entry was posted in Ankara, Bilderberg group, billionaires, Black Lives Matter, BRUSSELS ATTACKS, business, Clairvoyant, Confirmation, Cyprus, Davutoglu, Donald Trump, Erdogan, Health diagnosis, Hillary Clinton, Italy Earthquake, Manuel Valls, MH370, migrant crisis, Money, Nicos Anastasiades, Peace, Politicians, President Barack Obama, Psychic, royal family, Stephen Hawking, Syria, terrorism, Turkey, Uncategorized, Us Elections 2016, War, Washington, World Predictions 2015, World predictions that came true and tagged "Scan Pyramids", "Scan Pyramids” project, #florida, 'cavities' in Egypt's Great Pyramid, - mystery, 2016 Election, 3D reconstruction, Ahmet Davutoglu, Alabama, Alaska, Ancient, Ancient Egypt, anomalies, Antalya, antiquities ministry, Arab League, Archaeological Discovery, archaeologist, Arizona, Arkansas, Asa Hutchinson, Ayatollah Ali Khamenei, Ban Ki-moon, Barack Obama, base stones, Bill Walker, Bobby Jindal, Bosphorus, British archaeologist, Bruce Rauner, Brussels, burial site, Butch Otter, Cairo, California, chamber, Charlie Baker, Cheops Pyramid, clairvoyant, Colorado, Connecticut, correlation, Da'esh, Daesh 2016, Dahzur's Bent Pyramid, Dannel Malloy, David Ige, Delaware, Democrats, Dimitrinka Staikova, Discovery, Doug Ducey, Egypt, Egypt's antiquites minister, Egyptian, Egyptian Pyramids, Egyptians, Egyptologists, EU Migrant Crisis, European Countries, France, Francois Hollande, Future of Islamic State, G20 Summit, Gas Exporting Countries Forum (GECF) Summit, Georgia, Giacomo Deposit, Giza, Giza Plateau, GOP, Governor John Bel Edwards, Great Britain, Great Pyramid of Cheops, Great Pyramid of Giza, Hawaii, hidden chambers, History, How ancient egyptian built the pyramids, Idaho, Illinois, Indiana, infrared thermography, Iowa, iran, Iraq, Iraw, ISIS, ISIS Oil Trade, israel, Istanbul, Ivelina Staikova, Jack Markell, Jay Nixon, Jean -Claude Juncker, Jens Stoltenberg, Jerry Brown, Jihad in Europe, John Hickenlooper, Kansas, Kentucky, Khafre, King Khufu, King Tutankhamun's tomb, Larry Hogan, limestone, Lincoln Chafee, Louisiana, Maine, Mamdouh el-Damaty, Mark Dayton, Maryland, Massachusetts, Mehdi Tayoubi, Michigan, Middle East, Mike Pence, Military actions near the pyramids, Mining concession, Minister of Antiquites and Heritage, Minnesota, Mississippi, Missouri, money, Montana, muon radiography imaging, Mustafa Akıncı, mysteries, Nabil al Arabi, Nabil Elaraby, Nathan Deal, NATO, Nefertiti, new project, news, Nicholas Reeves, Nile, oil fields, Operation Scan Pyramids, Paris attacks, Paris Climate Change Conference, Paul Lepage, Peace, Peru, pharaoh Snefru, pharaoh's tomb, Phil Bryant, PKK, president of Turkey, prophecies, psychic, psychic news, psychic predictions, Psychic Predictions about USA 2016, psychic reading, pyramid, pyramid builders, Pyramid Construction, Pyramid of Khafre, Pyramid of Khufu, pyramid's northeast flank, Queen Nefertiti, radar scans of Tutankhamun's tomb, Reccep Tayyip Erdogan, Recep Tayyip Erdogan, Red Pyramid, Red pyramids in Dahshur, Refugee Wave, Republicans, Rick Perry, Rick Scott, Rick Snyder, Robert J. Bentley, Russia, Russian warplane, Russianplane shot down, Scanning pyramids, scanning technology, ScanPyramids, scientist, scientists, secret chamber, Secretary General of NAT, Secretary General of Nato, Secretary General of the Arab League, Secrets, Silica-Titanium, Smithsonian, State Governor, State Governor Asa Hutchinson, State Governor Bill Walker, State Governor Bruce Rauner, State Governor Butch Otter, State Governor Charlie Baker, State Governor Dannel Malloy, State Governor David Ige, State governor Jack Markell, State Governor Jay Nixon, State Governor Jerry Brown, State Governor John Hickenlooper, State Governor Larry Hogan, State Governor Mark Dayton, State Governor Mike Pence, State Governor Nathan Deal, State Governor Paul Lepage, State Governor Phil Bryant, State Governor Rick Scott, State Governor Robert J. Bentley, State Governor Steve Beshear, State Governor Steve Bullock, State Governor Terry Branstad, State Goveror Rick Snyder, Steve Beshear, Steve Bullock, Stone blocks, Syria, Tacna, terrorism, terrorist’s actions in Brussels, terrorists, Terry Branstad, the Great Pyramid, the Leader of ISIS, the seven wonders of the ancient world, the Valley of the Kings, the war in Syria, thermal imaging, Titanium, Titanium Mine, tomb, tool marks, Trending Today, Turkey, Turkey’s Erdogan, Turkish prime minister, Turkish Republic of Northern Cyprus, Turkish-Syrian Border, Tutankhamun's tomb, US Election 2016, Vladimir Putin, vote, war, War footing, Withdrawal of : Scott Walker and Jim Webb, world news, world predictions, World Predictions 2016, World Predictions about Europe 2016, world predictions that came true on October 16, 2016 by Clairvoyant Dimitrinka Staikova.